POLICEMEN LINE UP OUTSIDE DUDLEY ROAD POLICE STATION EARLY 1900. WITH SUMMERFIELD PARK ENTRANCE BEHIND. JOHN PARRY THE GRANDFATHER OF JUDITH STEPNEY WHO WE THANK FOR SENDING US THIS PHOTO AND THE ONE ABOVE. JOHN IS AMONG THE POLICE OUT SIDE THE STATION. My father, Bill Sleeman, bought 281-3 Dudley Road and turned into a garage with showrooms and a repair and paint shop in about 1952. Does anyone know what the building was used for before that? We lived over the premises until 1973. I have been looking through the Winson Green site once more, and saw an entry for Dudley Road which talks about the Methodist Church between Chiswell Road and Heath Green Road . I remember another use for the hall at the rear of the Church. I attended City Road Secondary Modern School in 1952 and because the school was over-crowded, they used the Methodist Church hall as an annex to accommodate at least one of the first year classes. It was a 2 storey building and the top floor was used as a classroom (Miss Navavarion was the teacher - sorry if I have mis-spelled the name) and, because there was no play area, the bottom room was used at break time. We were warned to be careful because the floor downstairs was not as sound as it could have been (no health and safety in those days). However, 11 year olds being 11 year olds, we took no notice. One day, I was happily skipping away while two of my friends were turning the rope, when all of a sudden I disappeared through the floor up to my waist (luckily there was no cellar and I landed on a dirt floor). Of course I got told off for disobeying but luckily I wasn't hurt. I can't remember if the floor was repaired but we continued to use the hall as a classroom for the rest of the school year but I have no idea if the school continued to use it as an annex after that. Does anybody have any memories of working at /using the centre? A lot went on there at the time, lots of groups, a small library, a toy library, a parent and baby group. A group of men met to play cards, a young people's drop in was held at the back of the building and it was a well used building all the time. I had great fun in the time I worked there, but it was a temporary contract and I had to move on. I lived in Summerfield Crescent at the time and enjoyed the leisurely stroll through the park, there and back. DUDLEY ROAD 14/03/08 I was looking at the advert. for J.Harrison, the magic supplier on Dudley Road, which had been posted by a site contributor. The late Mike Corbett, of Perrott Street, used to buy tricks there in the late 50's. Conjuring was his teenage hobby. Later in life, from 1985 until 2007 when he died, he put that hobby to great use as the full time, brilliant magician Corvelle the Conjurer. One place I have not seen mentioned on your site is the Methodist Church on Dudley Road, it was about half way between Chiswell Road and Heath Green Road and was a very nice building to look at, I remember it had steps leading from the road to the doors and all the little kids could not resist running up those steps. At the side of the church was a passageway leading to the hall at the rear of the church. That was the meeting place for the Wolf Cubs and Boy Scouts also the Brownies and Girl Guilds. I was a member of the Wolf Cubs and I had earned myself a stripe on my sleeve. I was quite proud of my stripe because it meant I had a bit of authority. Then at one meeting I decided I wanted some sweets and just disappeared to the sweet shop, when I got back the Cub leader was livid and cut off my stripe. For a few weeks I did not bother going to the cubs then one day I met the Cub leader and she asked why I had stopped going. You took my stripe away I replied. If I give it back you will you come back she said. I thought for a moment or two then said if you give me two stripes I will. Thats how I got instant promotion in rank. I remember their was a lady minister there and if any of cubs misbehaved the cub leader would send us to see the minister. We did not get told off as such but we had to say our prayers for forgivness. About once a month we were expected to attend the church service. Yes I had some happy times in the cubs we used to go to the Scouts camp at Yorks Wood. Every year the the Scouts and Cubs had a big rally in Handsworth Park. Sadly the church was demolished in the late fifties or early sixties and a car showroom replaced it. The Co-op hall was on Dudley Road just past City Road heading towards Smethwick. On the corner of City Road was Lloyds Bank then there was a group of Co-op shops including a grocery, a butchers,, a greengrocers and I believe a bakery shop. I also remember they had a dry cleaners and I think many years ago a shoe shop. In those days the co-op was much bigger than they are today, I can remember there was three or four Co-op grocery shops on Spring Hill and Dudley Road. After I left school I did work for the Co-op for a short while. Well the Co-op hall was at the side of the shops and to get to it you went up a alley at the side. I have a few memories of it. The first memory of the hall was when I was about seven or eight years of age. One day a school friend called for me on the way to school, when we got to the Dudley Road we could see clouds of smoke coming from the rear of the hall and I wondered what it was. My friend said he set fire to the grass in the field. Even though I was only young I realised he had done wrong and I told him I wanted nothing to do with it. But within a few days I had to find out what was in the field that was hidden by those great advertising hoarding next to the Co-op hall, so I sneaked up the alley to find out, there was an overgrown piece of land but the most interesting thing for a eight year old to discover was a concrete air raid shelter. After that it was our den and we spent many happy hour in it. But I think every tramp for miles around must have been there it stunk. A few years later we use to go around the back of the hall for a crafty smoke I suppose I would be about twelve years old. One Saturday evening I was there with a friend and there was a West Indian wedding reception going on in the hall. The next thing we know we was invited in and given food and soft drinks which we enjoyed. Then at about sixteen I joined a youth club that was held in the hall once a week. Some of the lads would go missing with their girls friends for a while and I think it could have been to the air raid shelter but I am not sure if it was still there. "Photograph courtesy of Mrs. P. Kent"
1868 publican Jas Haynes no listing for Dudley Road prior to this date in Directories. A tram 189 on route 29 junction Dudley Road and Winson Street date1950's ??? The photograph of the tram on Dudley Road sent to you by Alan Elliott I found most interesting. You or Alan asked when in the fifties was the photo taken, well the Birmingham City Transport withdrew the trams on the Dudley Road services in September 1939 so it must have been before then. 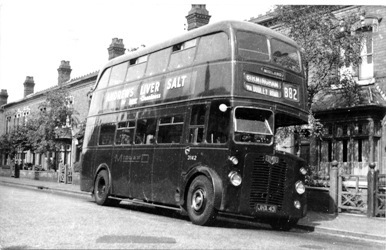 The 29 service ran from Edmund St. to Bearwood via Dudley Rd. When the trams were withdrawn in 1939 the bus service that replaced them became the B82. I'm sure someone can put a more exact date on the photo if we try hard enough. Just spotted your note Richard on the Winson Green website. This factory was nearly opposite Dudley Road Hospital, was it not? I seem to remember that, when I was in the A.T.C. during W.W.2 1943, we used the canteen at this factory for band practise. I think that the bandmaster probably worked there during the day. I was born near there in 1930 and went to Dudley Road school and Barford Road. It's an interesting site isn't it? We lived in the old M/B cottage's, Dudley Rd, the address was 5/512 it was next to Helens Cafe, then started M/B, in fact we were the last house in Brum, right on the border with Smethwick, the brook ran under our house and each time it overflowed our coal cellar would flood not far from the top step,we could'nt get to the gas meter to put the pennies in or get to the coal. And we had plenty of mice but I loved it there. my happiest days. Helens cafe was owned by Mrs Helen Lancaster who was the sister of Alex Douglas, he owned a coffee bar just above the Engine Pub and also ran the hot dog, burger and fleur de lyes stand. I worked for both of them while living down "our end" of Dudley Rd including Moilliett St, with relatives in Winson St, Heath St, Dugdale St and Abberley St the now forgotten end of the almost forgotten Winson Green.